The Jim Dunlop Original Cry Baby Wah Effects Pedal has been a standard in the world of music since its introduction in the late 1960's. Its rugged construction and efficient design will give years of outstanding performance. Whilst build quality and components have improved, the same beating heart resides within the Cry Baby making it one of the most popular pedals to date. A single battery is capable of powering the Cry Baby for a staggering 100 hours of use or for the more cautious, you can use an optional AC adapter. 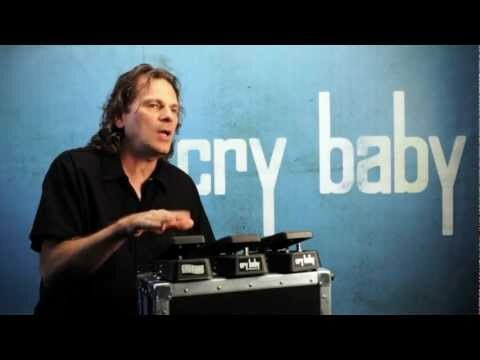 When people talk about wah pedals, they're talking about the Dunlop Cry Baby - guaranteed. This is the original, the one that created some of the most timeless sounds, riffs, and tones in the world of Rock music. Relied on by Jimi Hendrix, Eric Clapton, Buddy Guy, David Gilmour, and many other legends, these greats alone should prove the worth and fantastic quality of the Jim Dunlop Cry Baby. Posted on 17/03/2012 by Stube The crybaby. Some wahs may look prettier, have chrome or knobs on but this is the one you want. If it was good enough for Jimi Hendrix and Eric Clapton I'm guessing it's probably going to be good enough for you. The daddy of all wahs. Try one out in a shop. You will either hate it and all wah pedals instantly or love it forever! It's a classic for a reason. I've had a lot of pedals over the years and quite a few wahs of different makes. If I could only have one, this would be it. Love it. Buy one today.